George Zimmerman, the man whose acquittal on murder and manslaughter charges in the fatal shooting of Trayvon Martin set off a wave of protests across the nation, helped rescue a family from an overturned SUV four days after the verdict, the Seminole County Sheriff’s Office said in a statement on monday. The statement said that on Wednesday, at approximately 5:45 p.m. ET, the sheriff’s office responded to a single car accident at an intersection in the Sanford, Fla., area not far from where Zimmerman, 29, shot Trayvon, 17, in February 2012. The statement said a blue Ford Explorer had run off the road and rolled over with a family of four inside. When a deputy arrived at the scene, two men had already helped the family out of the SUV. One of the men was Zimmerman, a former neighborhood watch coordinator in Sanford. “Zimmerman was not a witness to the crash and left after making contact with the deputy,” the statement said. There were no reports of injuries, it said. 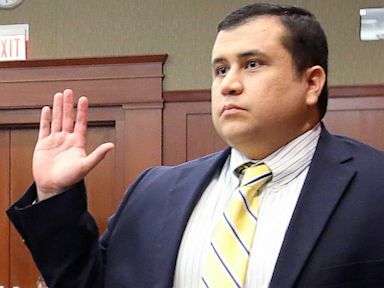 A jury of six women acquitted Zimmerman, who pleaded self-defense, of second-degree murder and manslaughter charges July 13. That set off protests across the nation, highlighted by “Justice for Trayvon” rallies held Saturday in more than 100 cities. We may NOT be the smartest people in the world but this smell’s like some donkey doo doo!!! This entry was posted in World News and tagged Am Caffeine morning show, doc clarke, Florida, George Zimmerman, NO U AINT Radio, Smooth Dee, Trayvon Martin. Bookmark the permalink.